Subscribe now to our 2019 series of Business After Hours events! Save time, money, and meet new contacts throughout the year. Nominate someone who deserves to be honored as the next Citizen of the Year! Nominate a business or individual for the Chamber's annual award presentation. Nominations close February 8. The wind energy industry is coming to eastern Connecticut, but what does this mean for the business community? Calling all nonprofits: join us for this year's day-long conference, discussing best practices for nonprofit management. Join us for a casual after-hours meet-up at the Thames Club in New London. You'll meet new neighbors and longtime locals. Join us for our business development workshop series. The Chamber is taking a trip to Costa Rica! Complimentary refreshments with Costa Rican flair will be served, as we discuss the exciting itinerary and answer your questions with a travel professional from Collette Tours. New to the area and looking for some local guidance? Meet chamber staff in a casual setting and receive personalized recommendations and knowledge about your new home. SCORE is hosting a free workshop for local professionals to better understand their finances. Ignite invites local entrepreneurs to its monthly office hours. Join Stifel experts for a free workshop on estate and wealth planning. Ignite invites local woman entrepreneurs and business leaders to a special night of networking and education. Join us for our monthly Young Professionals after hours networking. Please join us for a grand opening celebration. Join us for a discussion of Pfizer's scientific progress and Groton site updates. 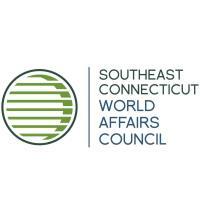 Southeastern CT World Affairs Council presents their January talk. New members, make the most of your membership and meet fellow business and community leaders. We know that trust is an essential ingredient if an organization is to perform at the top of its game. But what exactly is trust, how do you work with it and what do you do when it's missing? Join us for a special grand opening celebration. Join us for a special anniversary celebration.